WARSAW — A female, known associate with individuals involved in a search warrant, drove into the parking lot of a Warsaw hotel while police were serving the warrant. The use of a canine drug dog alerted on her vehicle, leading to her arrest on two charges and a probation violation. 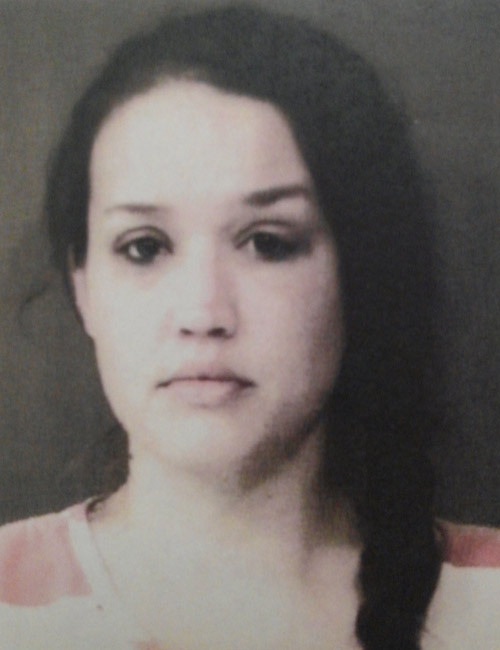 Kimberly Dawn Richardson, 34, 208 Kelly Street, Winona Lake, was booked in the Kosciusko County Jail early Saturday morning on charges of possession of methamphetamine and possession of a narcotic drug, both level 6 felonies, and probation violation in a 2013 case. Court documents filed by Warsaw Police on Oct. 2, states on Sept. 14, when police were serving a search warrant on other individuals Richardson drove into the parking lot and parked her vehicle. Officers spoke with Richardson who stated she knew the three individuals in the search warrant. A canine officer was used to conduct an outer air search of her vehicle, and alerted on the vehicle. A search of the vehicle found a needle, cut straw, two scales with a white residue that tested positive of methamphetamine. On her person, officers found a metal container that contained a blue oval pill and a white round pill. The blue pill was identified as alprazolam, a schedule IV controlled substance. The white pill was morphine, a schedule I narcotic. Richardson told police she thought she had a prescription for the two pills, but no valid prescription was found. The probation violation charge was filed on Sept. 29, 2015, after she violated her four-year suspended sentence for dealing in a schedule I, II, or II controlled substance, a charge filed in October 2013. She was sentenced on that charge in February 2014. She is being held on a total of a $30,000 surety bond and $750 cash bond.